The 5-foot-11, 180-pound athlete selected the Wolverines over Florida State, Georgia, Georgia Tech and Nebraska, among others. Michigan received a commitment from three-star Florida athlete George Johnson III on Monday night. Johnson, from Stuart, Fla., visited Michigan last weekend. The 5-foot-11, 180-pounder had offers from Florida State, Georgia, Georgia Tech, Cincinnati, Kansas, Kentucky, Nebraska, Oregon, Syracuse and Virginia. “The academics, the atmosphere and the coaches,” Johnson told 247Sports about why he picked Michigan. 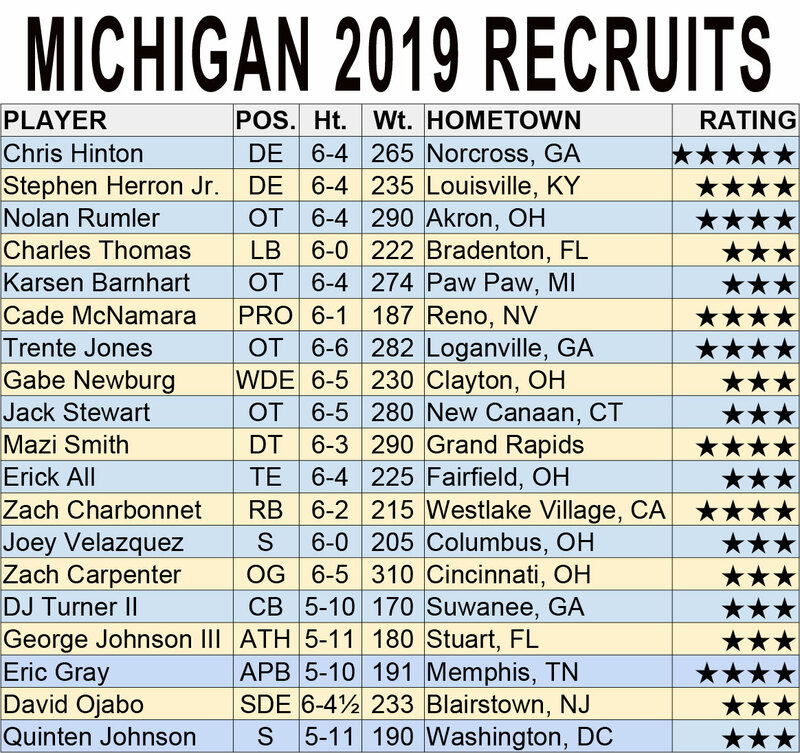 Michigan has 16 verbal commitments for the 2019 class and Johnson is the sixth commit since last Friday. The class is ranked No. 5 nationally in the 247Sports Composite rankings, No. 1 in the Big Ten.